The Mt. Pleasant Garden Club meets on the third Monday of each month, except January, at the Commission on Aging, Room A. We meet at 1 p.m., except in June and December, when we begin at noon. 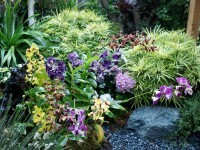 There are no requirements for membership other than an interest in gardening.